The influencer industry is undeniably powerful. 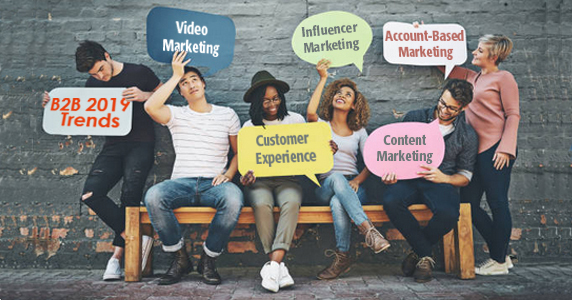 From big name influencers with millions of loyal followers to micro influencers with 10,000 followers, to industry experts and thought leaders, there are quite a few rigs under the influencer marketing umbrella, thus giving options for every budget in every industry. Although the influencer side of the influencer industry is growing in size, the audience is the side you need to worry about. It is getting increasingly difficult to grab people’s attention, especially considering the average attention span is 6 to 12 seconds. With many social media users claiming to be ‘influencers’ it can be hard to tell which ones actually have an influence. In our blog post about finding the right influencers for your brand, we urge you to do your research for successful influencer campaigns in 2019. Never heard of it? Forbes defines account-based marketing as a marketing approach that is “shifting your focus to lots of leads to highly targeted accounts that are the best possible fit for your product or service.” Moreover, each account is seen as if they are their own market. Each one of these ‘markets’ has their own unique strategy that is explicitly designed to fit their needs, wants, interests, etc. With an increase in implementation [and success] in a personalization approach over the past few years, an account-based approach in sales and marketing is what we will see in 2019.
in 2019, we are living in what some call “The Age of the Customer”. B2Cs and now B2Bs are taking a more thoughtful and personalized customer-centric approach in their marketing efforts. From the time you first seek out prospects to when you officially sign on with a new customer, the switch is turned on the entire time. This philosophy applies to any interaction you may directly or indirectly have with the customer: in-person experiences, website usage, social media engagement, email marketing content, and so on. Everything you do is for the purpose of helping, educating, informing, entertaining and nurturing the customer at whatever level of importance they may be. Quality content marketing that is. Gone are the days where content gets pumped out like products from an automated machine in a manufacturing facility. Now, it is all about the quality, rather than the quantity, which, honestly, is how it should be. More thought and effort is going into creating impressive and impactful content in hopes of contributing and bringing value to the lives of the customer. Yes, video still reigns on top of the content marketing game. Videos, GIFs, live video streaming, and webinars are just a few methods to capitalize on this popular tactic. It not only attracts engagements and boosts conversion rates, but it also builds trust, credibility and authenticity, adds a personal touch, and is fully functional across multiple channels such as social media, website and email campaigns. The New Year allows you the opportunity to start with a fresh strategy. Give us a call and we can help make 2019 a successful year for your business.